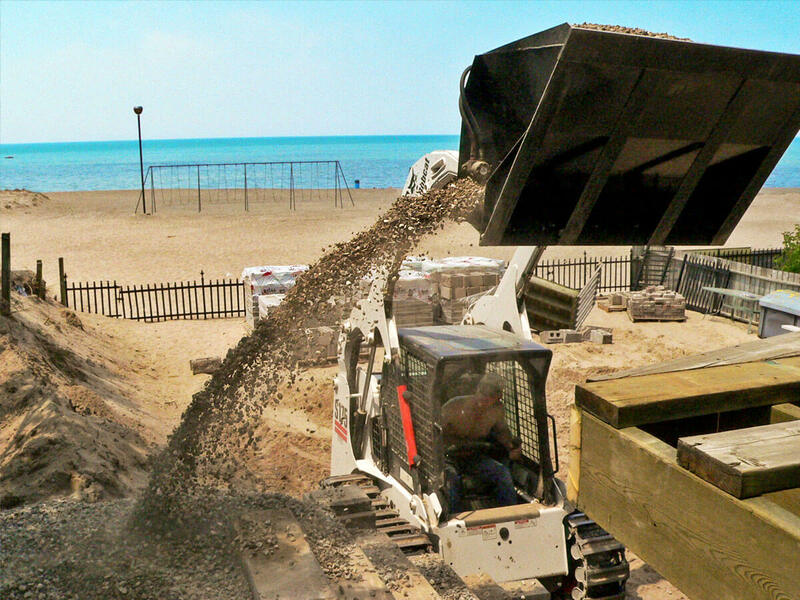 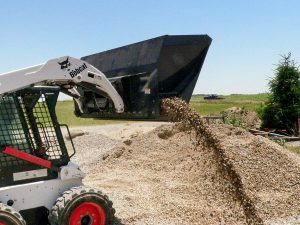 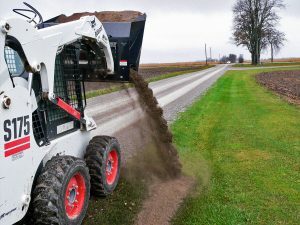 Crossfire Spreader Attachment - Bay-Lynx Manufacturing Inc. 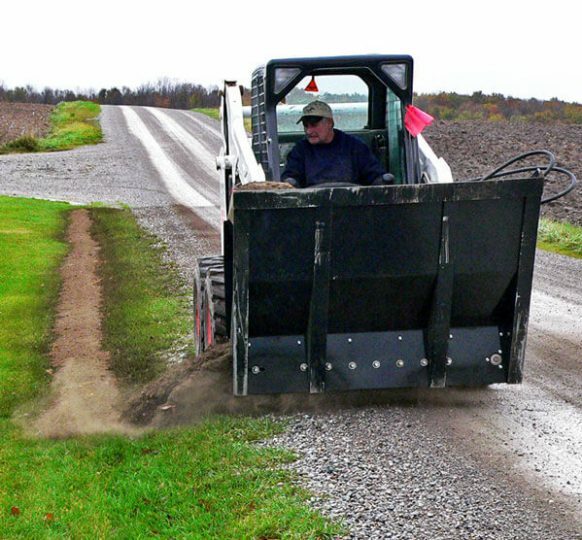 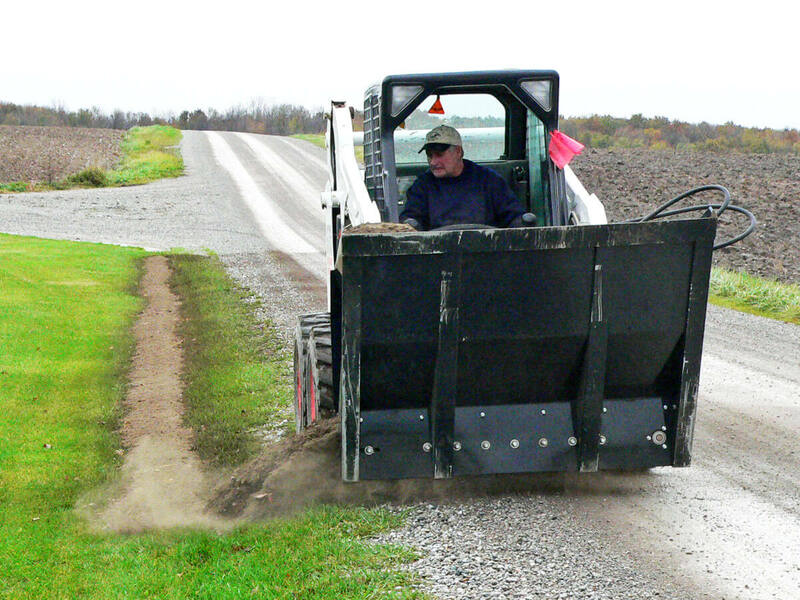 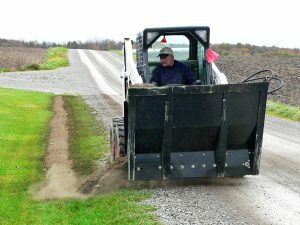 The Cross Fire can place all the same materials as our larger spreaders, and it comes with some added bonuses. 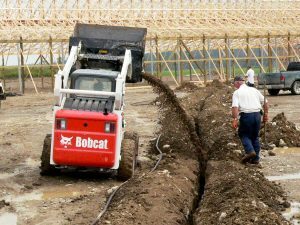 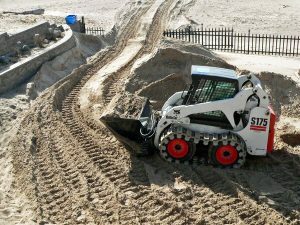 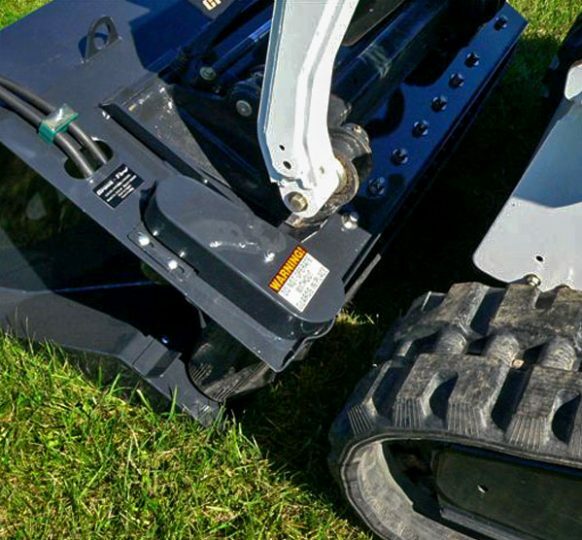 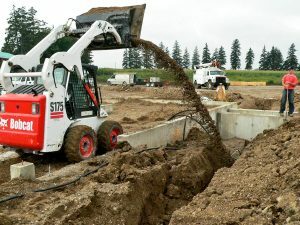 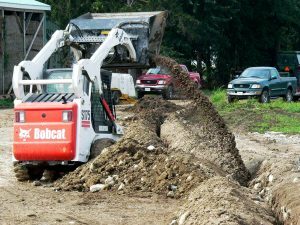 The internally driven belt and hydraulic motor can be geared in different ratios, allowing you to consistently spread to the side from four to 12 feet away. 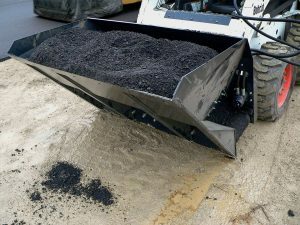 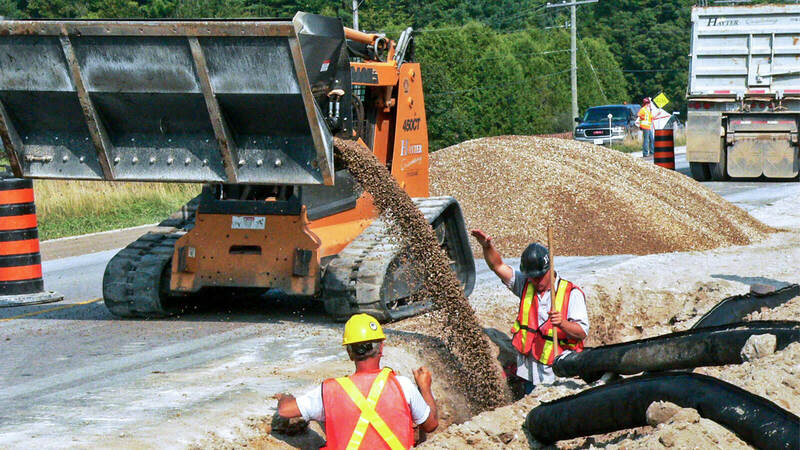 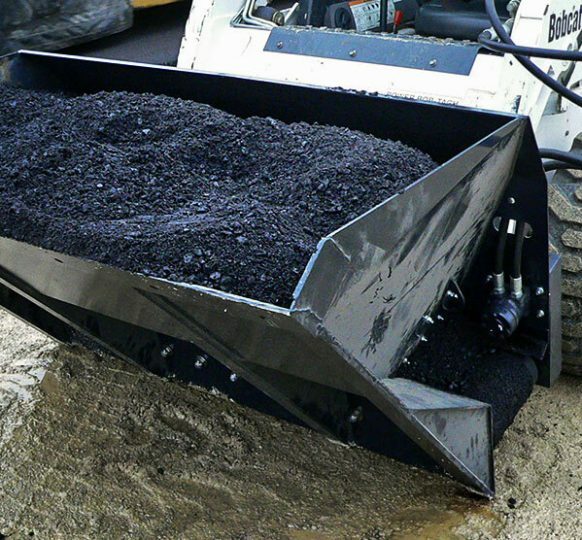 An optional hot-belt customization lets you spread hot asphalt – great for narrow patch jobs. 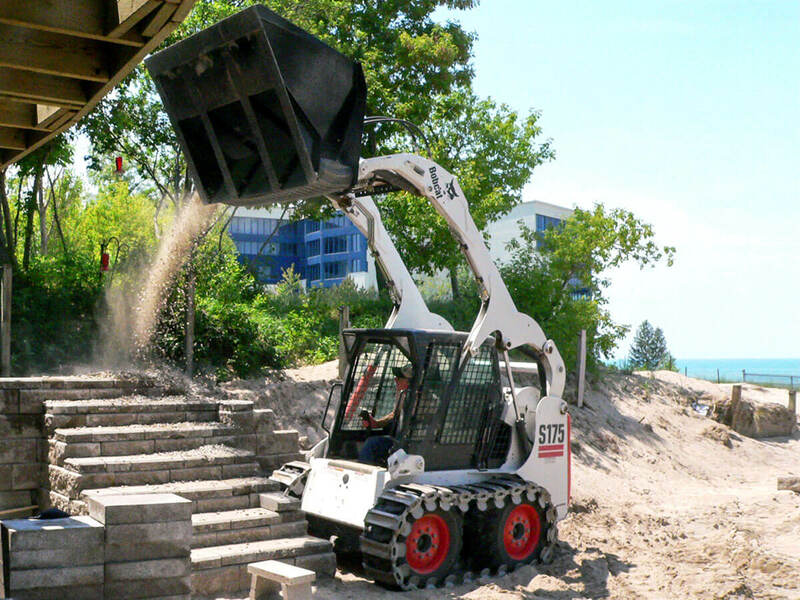 "We would not want to be without our Crossfire bucket." 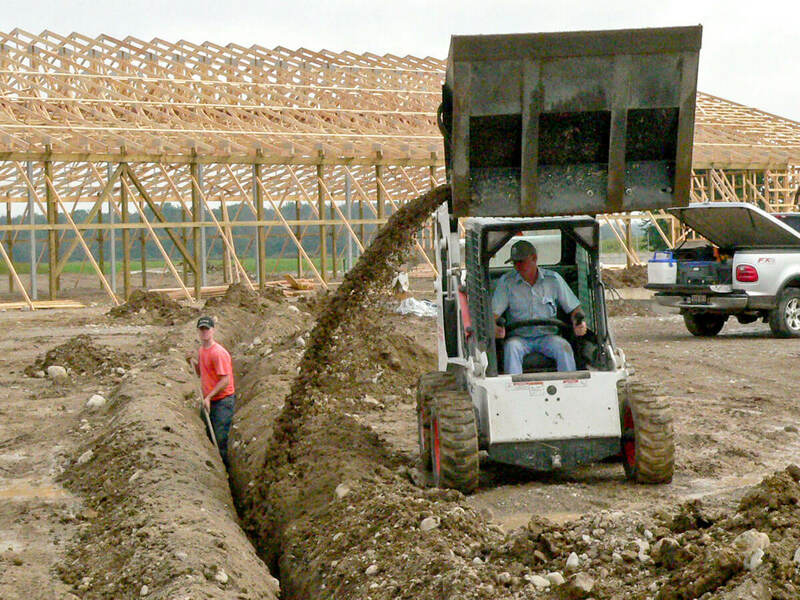 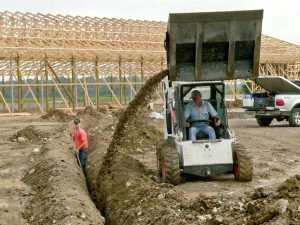 James Hayter, Hayter Excavating Inc.